Zalmay Khalilzad grew up in a traditional family in the ancient city of Mazar-i-Sharif, Afghanistan. As a teenager, Khalilzad spent a year as an exchange student in California, where after some initial culture shocks he began to see the merits of America's very different way of life. He believed the ideals that make American culture work, like personal initiative, community action, and respect for women, could make a transformative difference to his home country, the Muslim world and beyond. Of course, 17-year-old Khalilzad never imagined that he would one day be in a position to advance such ideas. With 9/11, he found himself uniquely placed to try to shape mutually beneficial relationships between his two worlds. As U.S. Ambassador to Afghanistan and Iraq, he helped craft two constitutions and forge governing coalitions. As U.S. Ambassador to the UN, he used his unique personal diplomacy to advance U.S. interests and values. 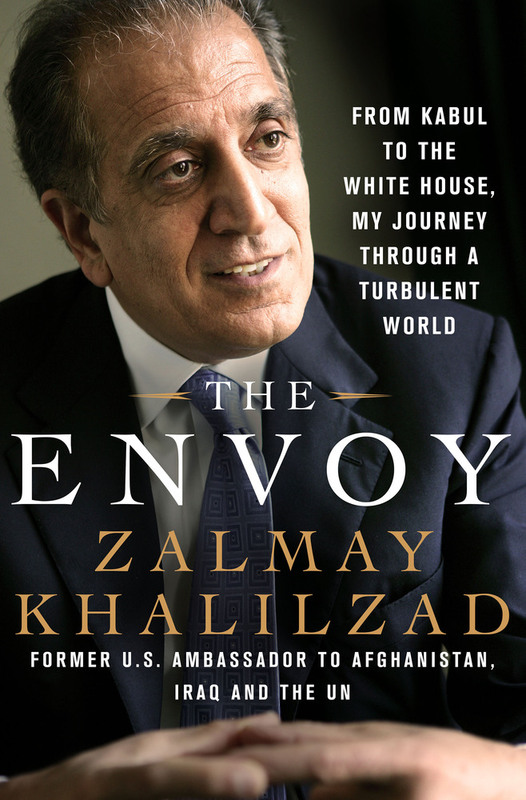 In The Envoy, Khalilzad details his experiences under three presidential administrations with candid behind-the-scenes insights. He argues that America needs an intelligent, effective foreign policy informed by long-term thinking and supported by bipartisan commitment. Part memoir, part record of a political insider, and part incisive analysis of the current Middle East, The Envoy arrives in time for foreign policy discussions leading up to the 2016 election. ZALMAY KHALILZAD is a counselor at the Center for Strategic and International Studies and president of Khalilzad Associates. Previously, he worked in the administrations of Ronald Reagan, George H.W. Bush, and George W. Bush and served as the U.S. ambassador to Afghanistan and Iraq and U.S. permanent representative to the United Nations.